​Wilfried Zaha says that his future remains with Crystal Palace despite persistent speculation linking him with a move away from the club. The Ivorian international's excellent form in recent seasons has seen him repeatedly touted for a Selhurst Park exit, with Zaha currently enjoying another stellar season in south London. 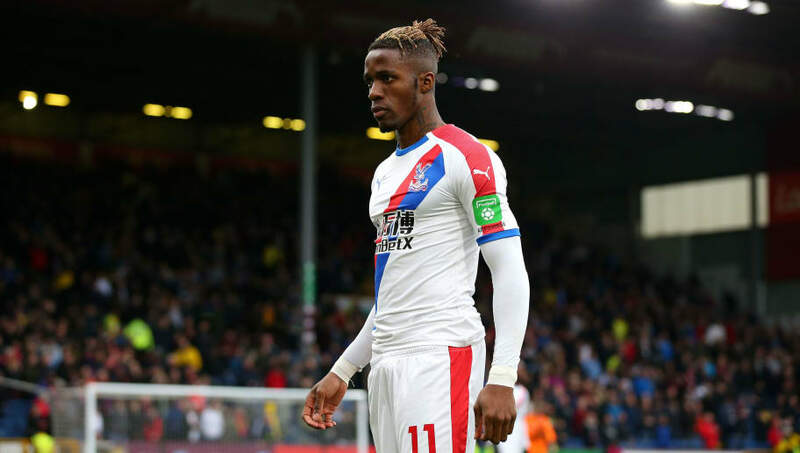 German side ​Borussia Dortmund were reportedly ​interested in signing Zaha during the January transfer window as a potential replacement for the ​Chelsea-bound American winger Christian Pulisic, while former club Manchester United have also been credited with an interest in re-signing him. The 26-year-old, however, has dismissed the speculation and reiterated his commitment to the Eagles. "My future is at Palace. I am at Palace. I am not thinking about anything [else]. I'm just playing my football and I will see what the future holds for me," he told ​Sky Sports. ​Zaha started his career at Palace, before signing for Manchester United in January 2013, becoming Sir Alex's Ferguson's last signing at the club. He was immediately loaned back to Crystal Palace for the remainder of the season. Ferguson retired at the end of the season and was replaced by fellow Scotsman David Moyes. Zaha fell out favour under Moyes, making just four appearances for the Red Devils before joining Cardiff on loan in January 2014. The following season he returned to Palace on-loan before signing permanently for the Eagles in January 2015. Zaha has since rediscovered his form following his struggles at Old Trafford, being voted as Crystal Palace's Player of the Year for the last three seasons. Last August, ​he signed a new contract with Palace that runs until 2023 and has rewarded Palace with eight goals and eight assists in the Premier League this season.